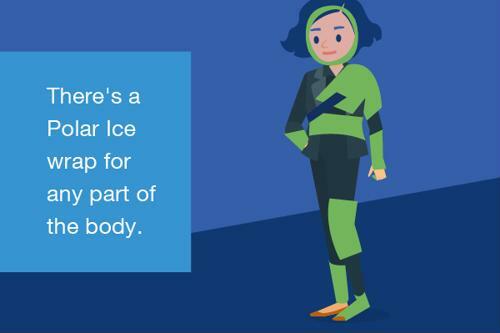 Brownmed makes 11 different Polar Ice wraps to deliver the benefits of cryotherapy to any part of the body. Have you ever heard of cryotherapy? This therapeutic practice has been used for decades, but has recently become more popular thanks to professional athletes. They're using cryotherapy as a method for promoting faster muscle recovery instead of taking an ice bath. Cryotherapy, which translates to cold therapy in Greek, refers to the method of using freezing temperatures to alleviate irritated nerves, according to Medicine Net. It can be delivered to a single affected area – administered through ice packs, massage, coolant sprays and probes – or to the whole body, using a method which consists of immersing yourself into a closed compartment of cold air for a short period of time. Cryotherapy is generally used to reduce pain, decrease muscle spasms, improve recovery, slow cell aging and enhance overall health. Medicine Net reported that cryotherapy can also be used for treating localized areas of certain cancers – such as prostate – and may alleviate symptoms caused by abnormal skin cells. More commonly, this method is used to treat isolated nerves that are irritated. Benign nerve growths and pinched nerves, also known as nerve entrapments, may benefit from cryotherapy. 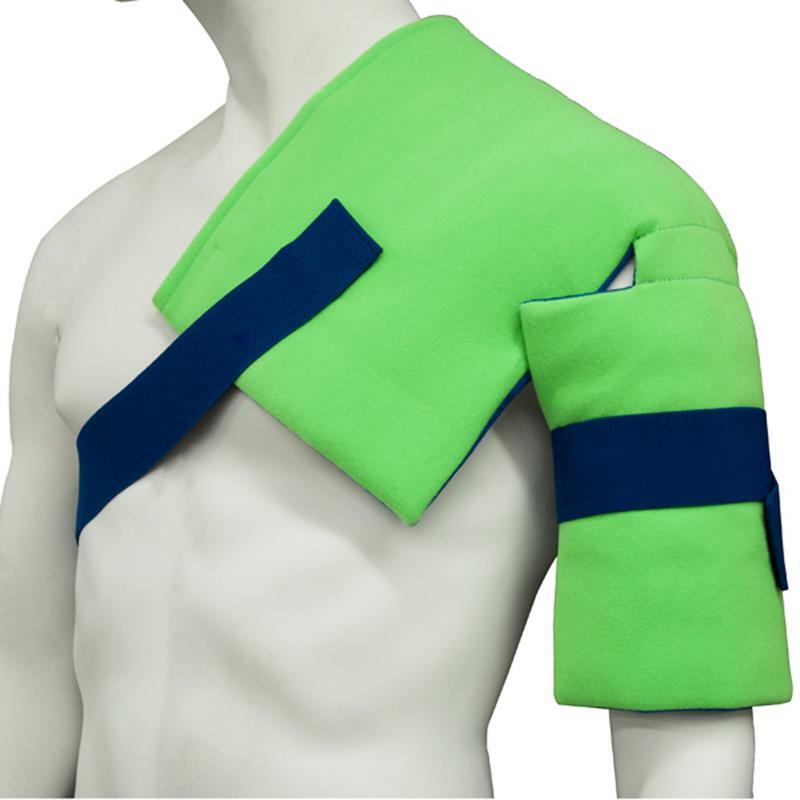 The Polar Ice shoulder/hip wrap delivers the benefits of cryotherapy with compression for soft tissue trauma. What are the other benefits of cryotherapy? Reduce migraines – According to Healthline, cryotherapy provides a cooling and numbing impact on the nerves in the neck area, which can ultimately reduce the common symptoms of a migraine. Treat mood disorders – Cold therapy can be used to release hormones like adrenaline, noradrenaline and other endorphins that can positively impact someone feeling anxious or depressed. Support weight loss – While cryotherapy alone will not cause you to lose weight, the therapy can aid the process, according to Medical News Today. Because being cold forces your body to take charge and work hard to stay warm, cryotherapy may kick your body into gear when it comes to shedding a few extra pounds. As noted, cold therapy can help heal and soothe tissues for post-surgical rehabilitation and other injuries. For those looking for a more convenient option for cryotherapy, try the Polar Ice products from Brownmed. Among all of the wraps offered, including the TMJ, shoulder/hip, wrist/elbow, CPM knee and more, these options provide cold compression for soft tissue trauma. Each wrap is designed with easy-to-adjust hook and loop closure straps and fleece to conform to the body and insulate skin to prevent frostbite. Enjoy the many benefits of cryotherapy by purchasing your Polar Ice products today.